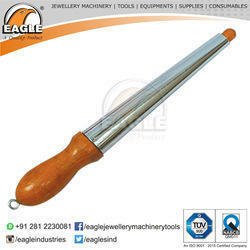 Mandrels for making bracelets, bangles and hoop earrings. 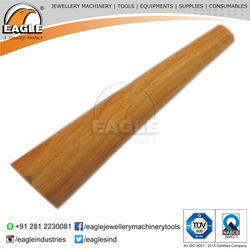 52.1601 Wooden Bangle & Bracelet Mandrel - 2½" x 15"
52.1602 Wooden Bangle & Bracelet Mandrel - 3" x 15"
52.1603 Wooden Bangle & Bracelet Mandrel - 3½" x 15"
Plastic Ring Stick with Groove - For measuring rings 1 to 15 by quarter sizes to US Standard. Includes groove. And British Standard A to Z & 1 to 6. 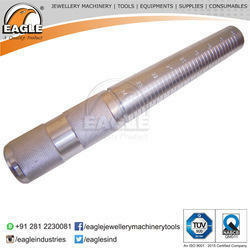 52.0302 Ring Mandrel 8" x 0.8"
52.0303 Ring Mandrel 10" x ½"
52.0304 Ring Mandrel 1" x 10"
52.0312 Ring Mandrel 1" x 8"
52.0305 Ring Mandrel 1" x 12"
52.0306 Ring Mandrel 1" x 15"
52.0307 Ring Mandrel 1¼" x 15"
52.0308 Ring Mandrel for Setting 1" x 12"
We are manufacturer of Standardized Ring Mandrels Jewels Tool. 1 To 36 And 41 To 76 Marking. We are manufacturer and supplier of Jewelers Stripped Bangle. 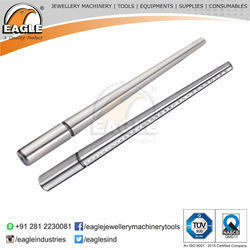 We are manufacturer of Jewelers Tools Hexagonal Shape Bangle and Bracelet Mandrel. 52.1107 Chromed Bangle & Bracelet Mandrel 2" x 12"
52.1108 Chromed Bangle & Bracelet Mandrel 2" x 15"
52.1111 Chromed Bangle & Bracelet Mandrel 2¾" x 15"
52.1112 Chromed Bangle & Bracelet Mandrel 3" x 15"
52.1113 Chromed Bangle & Bracelet Mandrel 3½" x 15"
52.1201 Oval Shape Bangle & Bracelet Mandrel Economy 3½" x 15"
52.1202 Oval Shape Bangle & Bracelet Mandrel Chromed 3½" x 15"
We are manufacturer of Ring Mandrel. 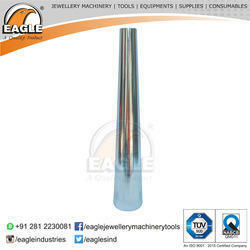 We are manufacturer of Jewellers Tool Oval Shape Bangle. 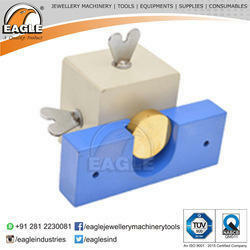 Size Rings using our wide selection of Ring Sizers and Ring Mandrels. It is used to gold, silver Ring Making. 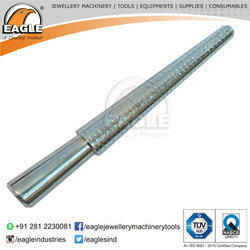 We are manufacturer of Standardized Ring Mandrels. 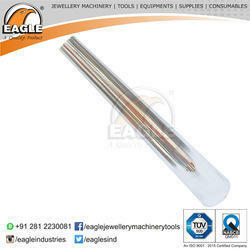 We are manufacturer of Jewelry Tools Economy Bangle. 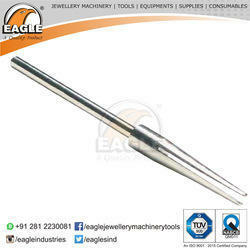 52.1101 Economy Bangle & Bracelet Mandrel 2¾" x 15"
52.1102 Economy Bangle & Bracelet Mandrel 3" x 15"
52.1103 Economy Bangle & Bracelet Mandrel 3½" x 15"
Large steel Ring Mandrel for Big size rings, Mandrel is Graduated in USA Sizes from 16 to size 24, in 1/4 Size increments. 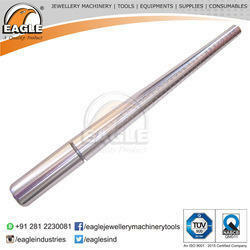 We are manufacturer of Stepped Ring Mandrel Jewelry Making Tools. 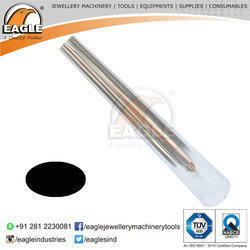 Very use full for taking measurement of ring.